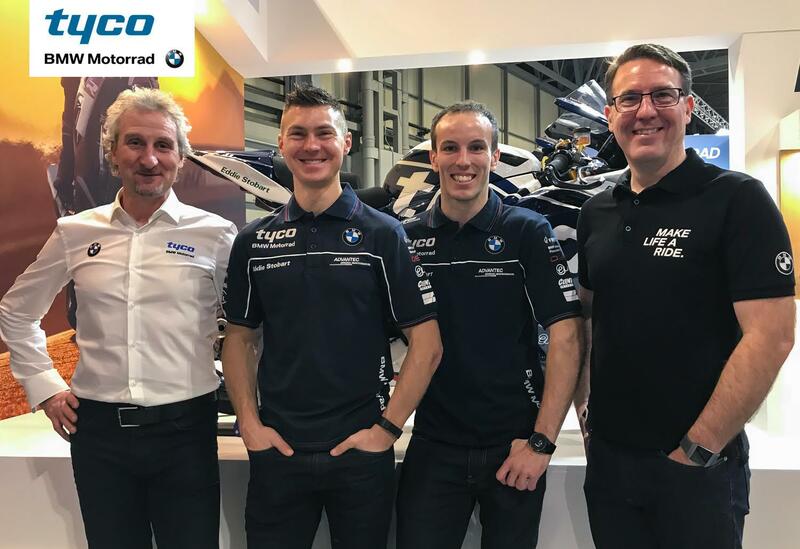 Christian Iddon and Keith Farmer will form Tyco BMW’s line-up for the 2019 Bennetts British Superbike championship, it has been announced. Iddon will enter his fourth year with the Tyco BMW squad aboard BMW’s all-new S1000RR. Having shown flashes of brilliance in the past three seasons, he’ll be hoping the new machine will be what’s needed to make the next step. “Obviously I'm really happy to be back with TAS Racing for another year in the Superbike class,” he said. Farmer steps up to the Superbike class having taken victory for the Moneymore squad in the Pirelli National Superstock 1000 championship last year. Speaking of his new line-up, team boss Philip Neill said: “Firstly, I am extremely pleased to confirm Tyco as our title partner for 2019. We continue our association with them in the British championship, which is our fourth year as the Official BMW Motorrad team. “On the rider front, we are pleased to confirm that Christian will remain with us for another season, and equally happy to announce that Keith will also stay in Tyco BMW livery, albeit, he makes the step up to the Superbike division. “For me the decision with Christian was simple. We have both invested a lot in each other and he clearly has the talent to succeed in BSB - so together with the new model RR, I firmly believe 2019 can be his year.